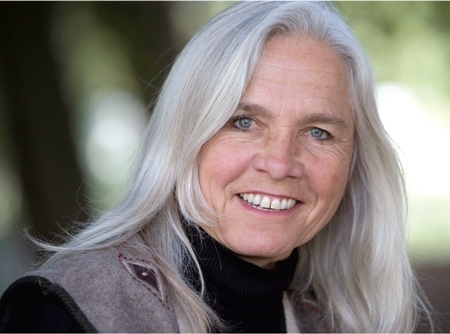 Penny Livingston-Stark is internationally recognized as a prominent permaculture teacher, designer, and speaker. She holds a MS in Eco-Social Regeneration and a Diploma in Permaculture Design. Penny sits on the board of the Permaculture Institute of North America (PINA) and holds 2 Diplomas in Permaculture Education and Permaculture Design. She has studied, taught with, hosted and learned directly Bill Mollison, and David Holmgren the co-founders of Permaculture and the developers of the PDC curriculum. She has 25 years experience in all phases of ecologically sound design and construction as well as the use of natural non-toxic building materials. Penny specializes in site planning and the design of resource-rich landscapes integrating, rainwater collection, edible and medicinal planting, spring development, pond and water systems, habitat development and watershed restoration for homes, co-housing communities, businesses, and diverse yield perennial farms. Penny co-created the Ecological Design Program and its curriculum at the San Francisco Institute of Architecture, co-created the Permaculture Program at Occidental Arts and Ecology Center with Brock Dolman and she co-founded the West Marin Grower’s Group, the West Marin Farmer’s Market, and the Community Land Trust Association of Marin. She is currently serving on the Marin County Building Appeals Board after being unanimously approved by the Marin County Supervisors. Penny is also a founding member of the Natural Building Colloquium, a national consortium of professional natural builders, creating innovations in straw bale, cob, timberframe, light clay, natural non-toxic interior finishes and other methods using natural and bio-regionally appropriate materials for construction.